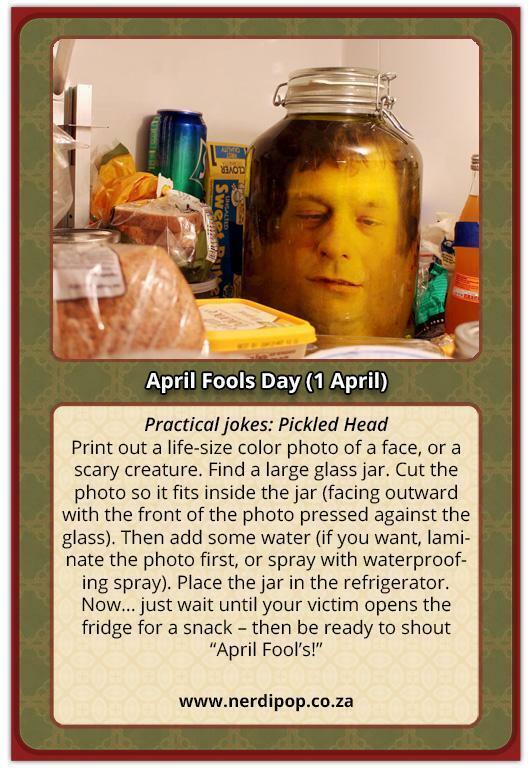 April Fools Day with NerdiPop! 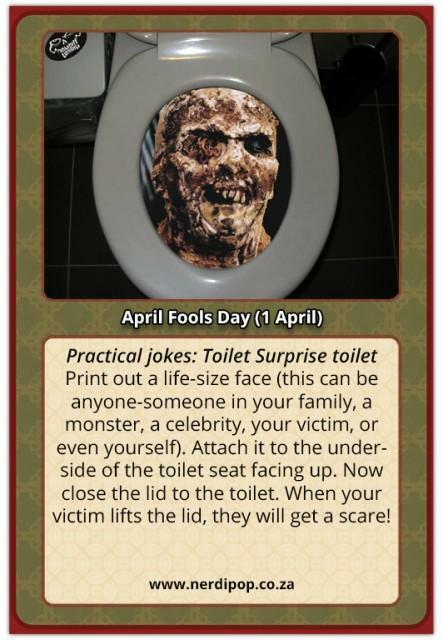 Home Articles April Fools Day with NerdiPop! 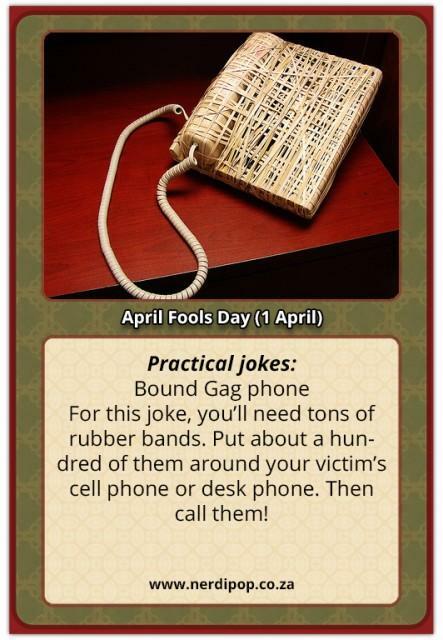 Happy April Fools day all! Come celebrate the trickiest day of the year with Nerdipop! 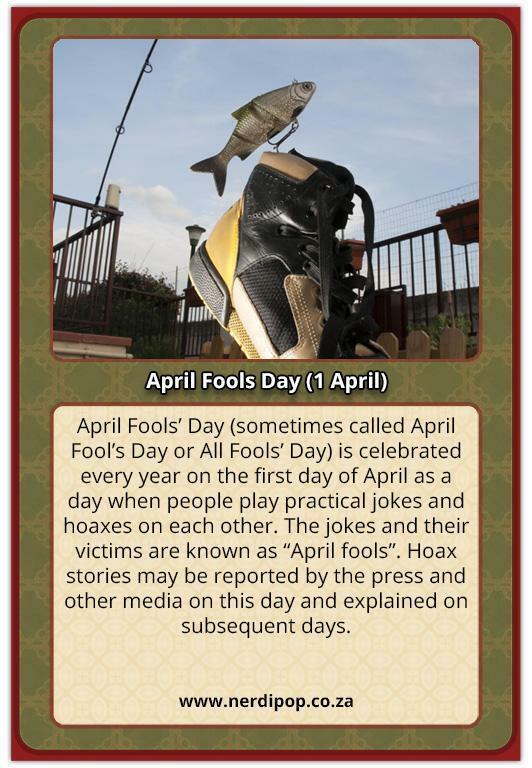 April Fools’ Day (sometimes called April Fool’s Day or All Fools’ Day) is celebrated every year on the first day of April as a day when people play practical jokes and hoaxes on each other. The jokes and their victims are known as “April fools”. Hoax stories may be reported by the press and other media on this day and explained on subsequent days. Popular since the 19th century, the day is not a national holiday in any country (source: wikipedia). 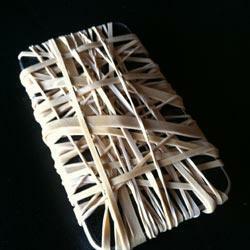 For this joke, you’ll need tons of rubber bands. Put about a hundred of them around your victim’s cell phone or desk phone. Then call them! Print out a life-size face (this can be anyone-someone in your family, a monster, a celebrity, your victim, or even yourself). Attach it to the underside of the toilet seat facing up. 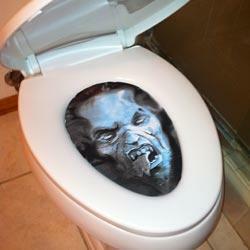 Now close the lid to the toilet. When your victim lifts the lid, they will get a scare! Make the perfect morning snack for April 1st! 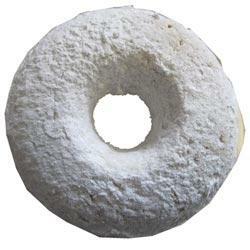 Buy some plain donuts. Then coat them in baking powder. Leave them out for your victim. 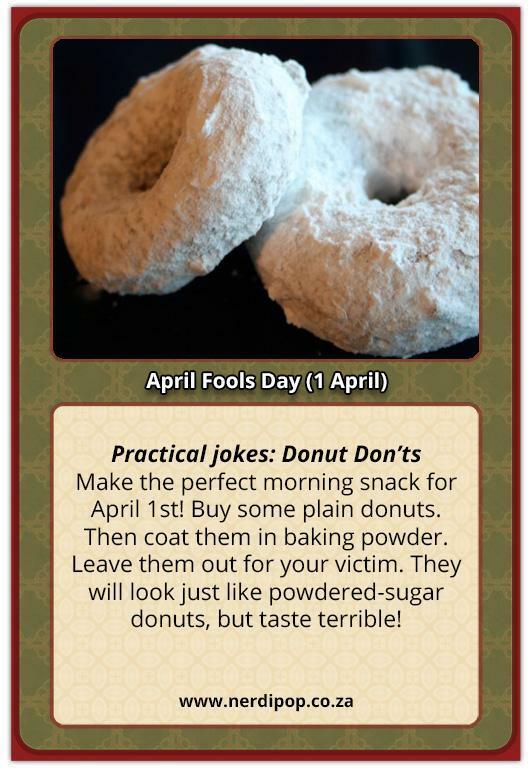 They will look just like powdered-sugar donuts, but taste terrible! 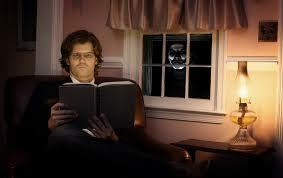 Print out a life-sized photo of a scary face. 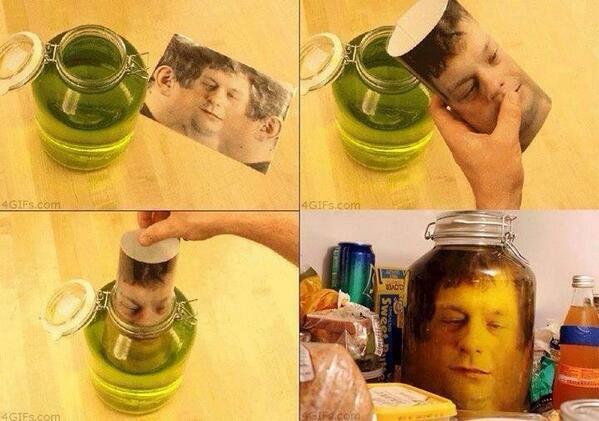 Go outside and attach it to a window or skylight (this will work best at night). 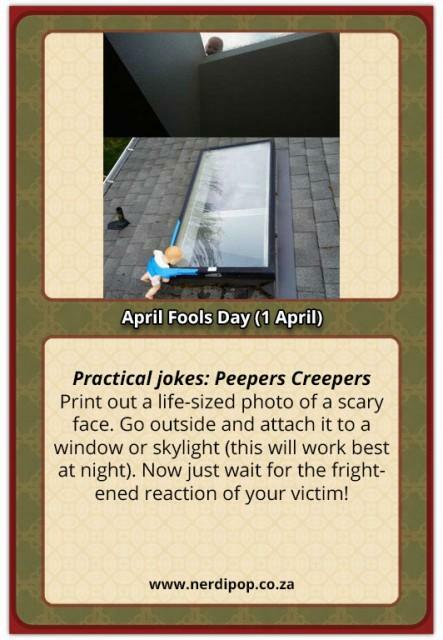 Now just wait for the frightened reaction of your victim!